A Lyft driver. 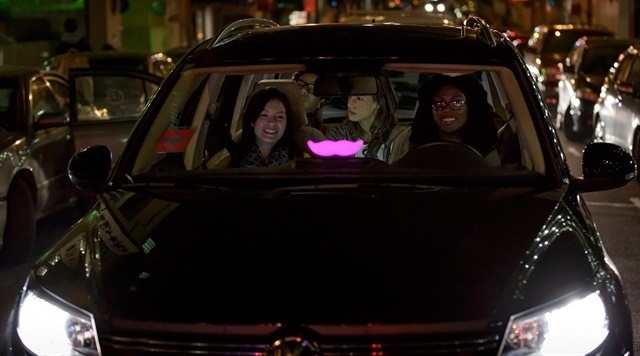 Photo courtesy of Lyft. California’s Gov. Jerry Brown approved a bill that allows drivers for transportation network companies (TNCs) — such as Uber and Lyft — to use rented or leased vehicles. The bill (AB 2763) changes the definition of “personal vehicle” in California’s Public Utility Code to include vehicles rented or leased for fewer than 30 days. This bill will amend Section 5431 of the Public Utilities Code relating to transportation. “This bill would define a personal vehicle as a vehicle that is used by a participating driver to provide prearranged transportation services for compensation, with a passenger capacity of eight persons or less, including the driver, that is owned, leased, rented for a term that does not exceed 20 days, as specified, or otherwise authorized for use by the participating driver, meets all inspection and other safety requirements imposed by the commission, and is not a taxicab or limousine,” according to the bill. According to a letter written by TNC companies and advocates for the electric-vehicle industry supporting this measure, this bill supports the expansion of clean transportation and electric vehicles by giving drivers access to electric vehicles through short-term rentals. “Short-term rentals for TNC drivers represent a promising way to familiarize drivers with electric vehicles (EVs) and leverage the growth of TNCs to get more EVs on the road, which could substantially reduce criteria air polluntants and greenhouse gas emissions,” according to the letter.